In Windows NT, you had to choose the role of the servers during the installation of the operating system. 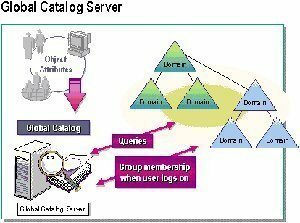 The server could be configured as a Primary Domain Controller (PDC), a Backup Domain Controller (BDC), or a member server. Changes to the security database could only be made from the server configured as a PDC. You could only promote a BDC to a PDC. If you wanted to change the role of a server from a member server, to a domain controller, you had to completely reinstall Windows NT. 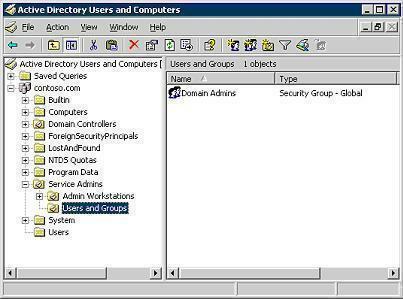 With Windows 2000, came the concept of promoting member servers to domain controllers and demoting domain controllers back to the member server role. Thus, all machines in Windows 2000 and Windows Server 2003 have either the standalone server role or member server role when they start out. Domain controllers track user account information through Security Identifiers (SIDs). a user attempts to log on to the system, a request to authenticate the user is sent to each domain controller within the domain. The user is authenticated via Kerberos security after a domain controller is located and a secure connection is established. Authentication is based on the user providing a username and password that correspond to those in the Active Directory database. The session information, or access token of the account is stored in memory. This includes rights and group membership details. When the user attempts to access network resources, the access token and the permissions of the resource are compared to ascertain what access is permitted to the network resource. The level of fault tolerance required for the domain – at least two domain controllers should exist in the domain. 258 queries in 0.435 seconds.